Christine Stoffel is the CEO & Founder of SEAT, LLC. 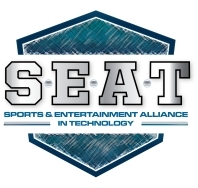 SEAT aka Sports & Entertainment Alliance in Technology, is the ONLY peer-driven annual conference-consortium dedicated to the Global Sports & Entertainment industry professionals. SEAT is an openly collaborative forum with Sports Business Professionals as well as innovative technology companies. SEAT focuses on the SEAT Community of professionals to to create and deliver to it's peer community Technology, CRM Marketing, Loyalty, Social/Digital, Venue Technology, Venue Operations, Security, Game Operations and Business Professionals across the sports & entertainment industry. Founded 10 years ago on the premise of creating a forum for sports IT executives to network, share and partner together, the conference has organically grown into an extraordinary collaboration of the brightest minds from over 30 countries coming together each year. Sessions involve thought-leaders from across the industry participating in panel discussions, case study presentations, round table discussions, sharing best practices, solving challenges together and discussing how to stay in front of the technology evolution. SEAT is in its 12th year for 2018. Our "Community" of like-minded professionals have organically doubled in size every year for the last 5 years with now over 1,200 sports & entertainment executives attending the events. Christine will continue to expand SEAT to other parts of the World to fit the needs of the sports & entertainment industry leaders. Join us and be engaged with the SEAT Community!